Like many villages Locking was affected by the 1st and 2nd World wars. In 1917 during WW1. 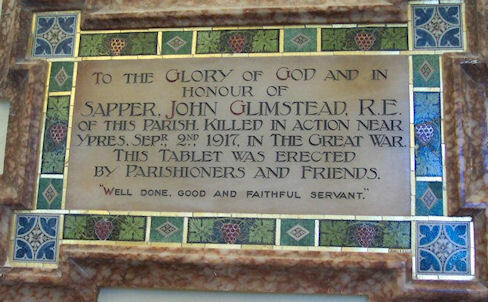 John Glimstead, born and married in Locking, was killed fighting in the trenches near Ypres. His memorial plaque is in Locking church. John Glimstead was born in Locking in 1880, son of George and Ann Glimstead. He had 5 sisters and 2 brothers, and attended Locking school and Church. In the 1891 census John is listed as an 11 year old scholar and his father as a farm labourer, probably at Rectory Farm. His nephews Jack and Cecil Glimstead (sons of his elder brother Robert) can be seen in the Locking school photo taken outside the church in 1910, and his sister Minnie in a photo outside Myrtle cottage (now The Old Rectory). John married Florance Norris at Locking Church on 12th April 1914. They had a son John born on 20th April 1917 who died in 2004. It is not known when he joined up but by 1917 he was 495145 Sapper Glimstead, 476th Field Coy., Royal Engineers, 61st Division in the 3rd battle of Ypres also known as Passchendale. In August 1917 the 61st were involved in battle near Langemarck. Rain and shells turned the battlefield to mud. So many of them slipped and fell in that wilderness of shell holes that their rifles became clogged with mud and could not be fired; but the attackers went forward with the bayonet as their only weapon. They could not keep up with the barrage and the fire from the German machine guns struck them in front and from flank. The attack came to a standstill. 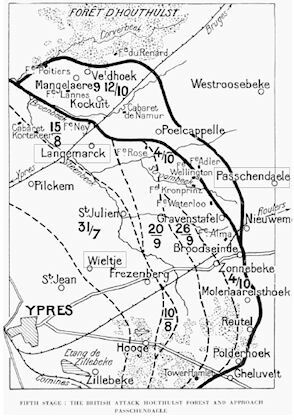 In early September the fighting raged near Wieltje. ‘L/c Boyd & Sapper Glimstead were killed taking shelter in a dugout whilst returning from work at 11am’. As a Sapper he would probably have worked digging trenches. He is buried in grave B.26 at the Wieltje Farm Cemetery, near Ypres. He never saw his son. WW2 had a large impact on the surrounding area. In 1938 the Air Ministry purchased farm land to the North of the village and built RAF Locking which opened in 1939 to train aircraft technicians. During WW2 RAF Locking grew into a huge hutted camp where there could be 4,000 students in training to support the growth of the RAF. Satellite camps were built at Knightcott and Summer Lane. The airfield was taken over for military use, and 'shadow' aircraft factories were built at Oldmixon and Elborough where the Bristol Aeroplane Company manufactured Bristol Beaufighters and other aircraft. The main road past Locking was widened and staightened so that completed aircraft could be towed to the airfield for flight test and delivery. The war united the villagers in a common effort. The Savings Group raised £23,000 for the war effort, plus £1,500 (£80,000 in today's money) for 'Warships Week'. A model warship was towed around the village to encourage donations. 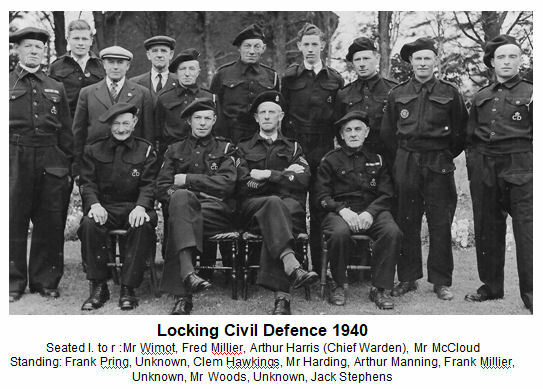 Locking had its own 'Dad's Army' Civil Defence Volunteers with Arthur Harris the chief Warden and Dr Bray from the Manor house in charge. There were two public air raid shelters - one at the western end of the village and the other in Old Banwell Road, and a Barrage Balloon near the junction with the Hutton road. The vicarage was the headquarters for the Balloon Barrage, and 'Winterstoke' in Old Banwell Road became a medical centre. The most action they saw was in June 1942 when bombs were dropped on Hutton hill, their target being the Bristol Aeroplane Company factories at Oldmixon and Elborough near Banwell. Locking escaped bombing, but on the nights of June 28 and 29, 1942, over 52 high-explosive bombs and more than 10,000 incendiary devices fell upon Weston-super-Mare killing over 100 people and injuring many more. In 1946 Locking's vicar found himself chaplain to 200 German Prisoners of War interned at Knightcott camp. Every November on Remembrance Sunday a service is held in the church to remember those who lost their lives in War. 2018 was the 100th anniversary of the end of the 1st World War. To mark the occasion a special event was held in the Church Centre which included an exhibition of photos, medals and memorabilia of the 1st World War. A video film of the trenches and of the war cemetries in Belgium and France was a reminder of the horrors of war. 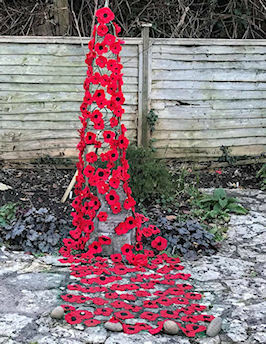 There was a display of poppies in the memorial garden, and in the afternoon a tea party and concert by the Locking Parklands singers with songs from WW1 and WW2.